As it currently stands, obesity is one of the greatest threats to our health, well-being, and longevity. In fact, 1 in 5 deaths in the USA are obesity-related- that’s a solemn figure to comprehend. So what’s the good news? The good news is that obesity and our weight can be controlled or managed when we simply become more mindful of what and how we eat. If we can put the weight on, then surely we can work to lose it in order to avoid many illnesses and conditions that occur as a by-product of holding too much weight. Fats have been the “bad” guys in the health world for far too long…but this is turning around with more people educating themselves on the nutritional values of good fats - healthy fats that fuel us rather than weigh us down. The Fat Fuel Company have done their research, they are pioneers in fat fuel- that is, using fats as a main source of fuel over carbohydrates. Of course, we cannot make carbohydrates out to be the bad guy here either… there are many healthy carbs, just as there are healthy fats! Here we take a look at Fat Fuel Company- helping you to feel the burn with fat as fuel! Fat Fuel Company provides premium fat products for healthy living. They are a small company who manufactures their own products in-house. They are expert manufacturers, Internet marketing ninjas, and health and fitness enthusiasts! For many years there has been a misconception that consuming fats will make us fat. Scientists have proven this to be untrue, and dietary fats are making a comeback! As it turns out, these fats are not only essential for optimal metabolic and cognitive performance- they also help us to feel full longer. Fat Fuel Coffee combines the highest quality fats with their premium blend of organic coffee conveniently packaged to go wherever your adventures take you. It's the only “keto coffee” made with grass-fed butter powder- a truly original fat fueling formula! 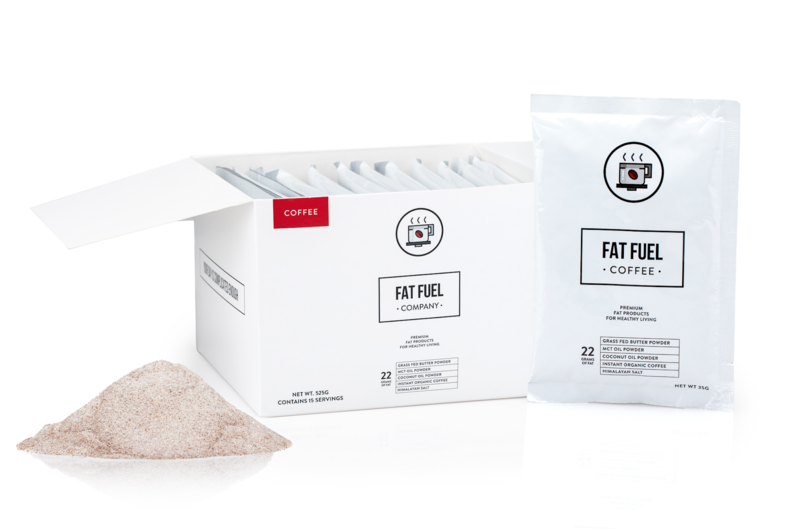 The secret weapon of the whole Keto coffee craze is Fat Fuel Company’s pride and joy. Until now, you had to blend traditional grass-fed butter in your keto coffee. Fat Fuel's amazingly talented manufacturing team pioneered a way to mindfully turn this into a powder. It’s made without corn syrup solids or harmful carrying agents. “Our unique manufacturing process ensures a creamy, smooth, delicious beverage that can be enjoyed both hot and iced. Fat Fuel Coffee will keep you mentally sharp and satisfied for hours. Some people love Fat fuel because it puts them on their mental “A game”, others because it is essential to their Keto, Paleo, or low carb diet” said The Fat Fuel Company. The Fat Fuel Company was born from the idea that everyone can benefit from healthy fats being introduced into their diets. Our bodies need it and crave it. These days, everyone wants more time. We want to live longer, be optimized and get back to how we felt when we were at our best. We want to look good, feel good and be active. Many of us haven’t been there yet- or at least in a long time and have been on a constant cycle of yo-yo diet tips from social media and TV. Besides adding to our waistline, bad food inflames us. Inflammation has been called the root of all disease. Many foods we put into our body cause inflammation, and that starts the domino effect. When you are hurting, you don’t want to go to the gym, and it becomes hard to break this cycle… I think we can all agree there has t be a better approach! You likely won’t be able to change everything at once, and that’s just fine. We are all busy these days and have limits and constraints on our time, not to mention it’s expensive to just empty the fridge and pantry to start a new diet! However, what is also true…when you begin to see results you will go all in (or at least continue to work toward looking and more importantly feeling better!). Sometimes, the best motivation comes from noticing small yet significant changes that inspire us to continue- these indicators of results from our efforts act as validation that our body is responding positively- and we are doing well! Fat Fuel makes it easy to deliver the fats you need without, sacrificing your rituals. Another reason fad diets don’t work is that we are creatures of habit, and change is typically hard, chaotic and inconvenient. That’s why Fat Fuel is so unique. They create a delicious and healthy way to become fat adapted without cramping your routine. Wait…! What Does It Mean to Be Fat-Adapted? Basically, the opposite of how most of us function today. When we consume carb-rich foods, they burn fast, so we crave and consume more, and this process is never-ending. Cravings are the main reason we abort our best intentions to eat get back to health. How many times did you find yourself on a kick for 4 days only to throw it all away because you made a pint of ice cream disappear?! When we are fat adapted, we are actually consuming more fat, which tastes great but also makes us feel full. It’s like the old; fight fire with fire adage, eat fat lose fat. There are so many hard to believe desserts and meals out there that won’t leave you feeling deprived- take some time to explore. Eventually, by restricting carbs, you will enter into nutritional ketosis. Nutritional ketosis is the state of burning fat as fuel. The body produces ketone bodies and burns this as a fuel source. Many of us are loaded with plenty of extra fat stores. Being fat adapted will allow you to use the fat stores you already have. Think of it like a steam engine, instead of buying wood you burn coal you already own. The best part is when you get in Ketosis- you have plenty of free coal. One side effect of ketosis is fat loss, and that may very well be the man motivation for people who give this a try, but feeling better and reducing inflammation will probably be the reason you stay. Another term you may be hearing in the health and wellness arena right now is “intermittent fasting”. This often accompanies the low carb lifestyle. Basically, you fast for a period of time, skipping a meal. There is a good amount of research that says intermittent fasting could be the answer to reset your body. Fat Fuel is the perfect first step. 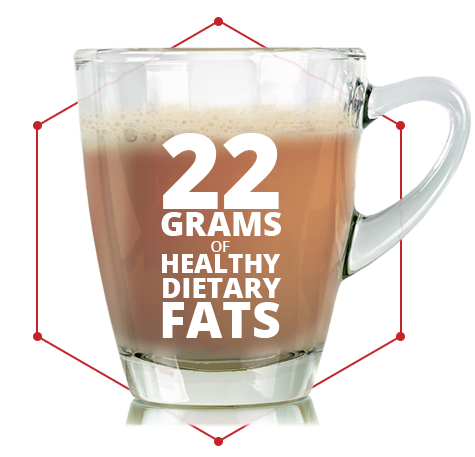 Swap your morning coffee out for Fat Fuel Coffee and you will be on your way. Do your own research and find the best path for you. You may need to do some trial and error to get it right for you, but you will need the proper start! If you are trying to get back to health, or if you are living keto, paleo, low carb high fat, start with Fat Fuel! * In partnership with our friends at Fat Fuel Coffee * The information available on ewellnessmag.com, including text, graphics, and other materials are for informational purposes only. Reliance on any information in ewellnessmag.com is at the user's own risk. Sponsored product placement may appear in the article. The visitor of this website acknowledges that the information available on or through ewellnessmag.com is not and is not intended to be a substitute for professional medical advice. Copyright © 2018 Brawo Press, Inc. All rights reserved.